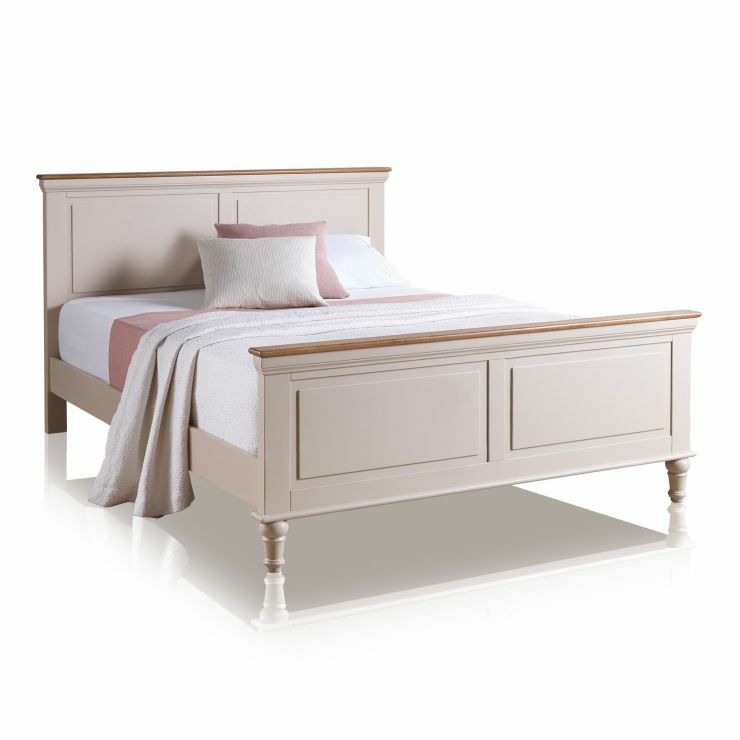 Our Shay king-size bed is a dreamy addition to any bedroom. 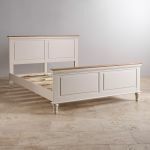 It embodies simple elegance with gently turned legs and delicate cornices on top. 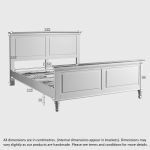 Plus, with its high quality solid hardwood construction - even down to the bed slats - you know this king-size bed will look great for years to come. It is painted a smooth shade of almond grey that perfectly complements the rustic solid oak tops to the headboard and footboard. Complete your Shay bedroom set with any of our beautiful bedroom pieces, and don't forget to add one of our fantastic high-sec mattresses, which will sweep you off to the land of nod in no time!